Writer: Geoff Johns Key Comments Continued: escapes captivity. Return of the Anti-Monitor. 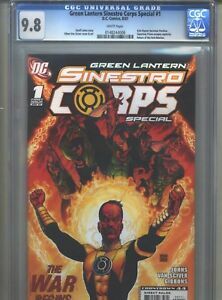 Artist: Ethan Van Sciver cover Key Comments Continued Again: Highest grade in the CGC census.